How to prevent Tonga chips to trottle at 80 degrees? After 75 degrees it starts and after 80 degrees it becames really agressive on trottle, going from 1100Mhz to less than 1000Mhz on Core Clock. It's very annoying. I'm using 50mv boost. Hey there, Welcome to OCC. Firstly is the card starting off at a really high temp at idle or is the card climbing up to this? Does the case have sufficient airflow? Have you tried replacing thermal compound? Have you used a OC utility to input a more aggressive fan profile? Is the fan working at all? If you wouldn't mind presenting a bit more info it would be helpful. Things such as; what video card it is specifically and under what conditions this occurs. More info please. Ill keep an eye this topic and if I have any suggestions ill be in touch. Like Boinker said we need more information,.. but I'll list a few things you can adjust to see if throttling issue stops. What brand graphics card, and BIOS version shown on GPUZ are you running. Custom BIOS always worked well on some cards and others just would not OC regardless of BIOS version, due to VRM's temps causing issues. Are you using MSI AfterBurner,.. if so that's OK,.. try lowering your settings a bit to see if you are stable. Try 1050 core and 1500 Memory with +30mV and 20% power limit. Your card should handle 80c just fine without throttling, need to get it stable at a lower OC if it's having issues at 1100. Try using RadeonPro it's outdated but works vary well on the older R9 380 cards, and use the most recent ClockBlocker program,.. you can get both from Guru3D. This will help also : http://www.comroestudios.com/ClockBlocker/Doc/index.html Good Luck. Thanks for fast reply guys! Really appreciate it. And yes, thermal compound is relatively new (Artic Silver 5 ~ several months ago). About fans, well, long short history: its not original. 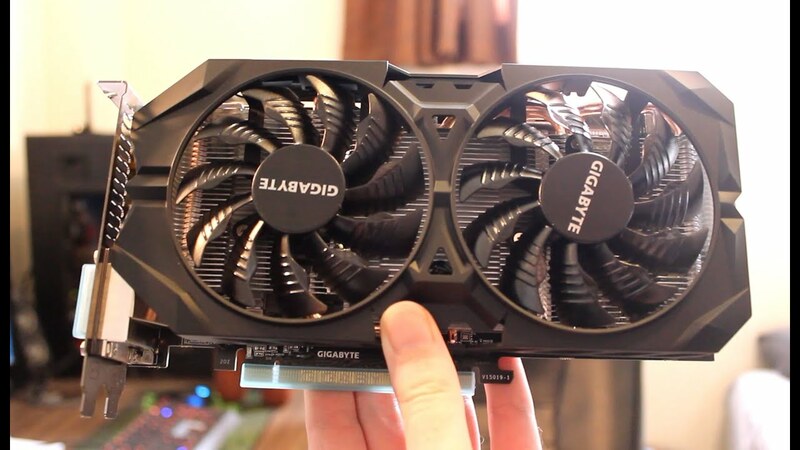 The VGA model is Gigabyte G1 Gaming. ( https://i.ytimg.com/vi/vGSWFutKARo/maxresdefault.jpg ). But a year ago something happens and boom, coolers stopped from work and same for PWM on the VGA board. So I bought a faulty r7 370 card for 5 bucks and i'm using these fans (Asus Strix https://encrypted-tbn2.gstatic.com/shopping?q=tbn:ANd9GcSUpbzghoZ9WQQCsy5Va1a5k8BMMnmyHH4ziKnELaqK9UtCOS9skK61nCYsoJ18Xa5LbH0o7OVR_ozw_IPNtKx9FFGCQEjp2g&usqp=CAE ), but keeping the original Windforce heat sink from Gigabyte G1 Gaming. I don't know if i could change the whole thing because if you look well, the Asus Strix heatsink doesnt cover memory and other things. A advice here would be nice too because I think it would be much much better if I could use cooler and heatsink from Asus Strix. Anyway, my temps was always something about 75C on Windforce and since this needed change it's reaching 80~84C with 100% fan speed using FanSpeed software. RadeonPRO by Japamd, right? This is what i've used when I buy it years ago and yes, it works to block clocks! It was mandatory to play FIFA without stutter! I will definitely will give I try, I completed forget about this sofware! Clockblock doesnt work very well, clocks are reduced depending on temps too. Like I said at the begining of this post, It's looks like Gigabyte made something really strange on this BIOS. High temp and High voltage = trottling. I will made more research too. Good to hear your doing better at 1035/1499 @-15mV. RadeonPRO by Japamd is correct always worked well, and it was worth while trying the Beta or most recent version of ClockBlock, to see which software worked best. Some of the older crypyo mining threads are full of information on custom BIOS, which cards had issues with throttling running default version 015.049.000.002.000000. The lack of a thermal connection between the heat sink and VRM is often more of an issue with Gigabyte Windforce cards, MSI Armer2X cards and Asus RX cards,.. checking, replacing thermal pads between VRM and heatsink will help lower temps, add stability when memory is OC above 1500. Looking at the case you have. It seems to me that it could be subject to a few flaws in the airflow department. Nothing that you did, BUT, if there is a way to get more airflow through it then that would help considerably. Most cases that have a front facia like the one you have tend to restrict the air going in so much that it chokes out the components on the inside. 2: Removing air filters from the front intake would help but the consequence is dust intake. This is actually the first thing I do with all my cases when I receive them. 3: fitting higher performance fans, This comes at the consequence of noise. You said 90mm fans are mounted. Is there a chance you can move to 120mm fans? BTW: this your case? Gabinete Gamer BG-015? If so it should accept them. 4: If it doesnt have a tempered glass panel you can put a blowhole or a side intake in it. I have done it with plexi and acrylic panels and also done so with steel sidepanel. 5: if you are feeling adventurous then a bottom intake could help if there are vents in the powersupply shroud. Just my two cents. Good luck and god speed. Hope those temps come down. Thanks for these advice guys! I think I will concetrante my attention to make air flow better on my case. Probably I will sell my card in the next few months. About CPU cooler, I know it's not optmized, but i hate having a CPU cooler blocking memory slot, so thats the only way. There's 2 intake fans on front and the others are sucking air to outside. Back fan make a good job, head fan is almost useless (it couldn't move a paper lol). This case have only head air filter. Pretty cheap one, but still have cable management, SSD spot, frontal USB 3. I'm not planning to change it. But like you say, I can modify it. The first thing that I noticed since I bought it was what you wrote: front cover restricts too much air. I can take it away, but the case looks horrible, so sadly it's not a choice. My wife would hate me. I'm thinking on make a lot of little holes and buy a really good 120mm fan on the front (60CFM at least) because front cover costs something about 15% on my temps (I tested yesterday). 15% is a heavy penalty. 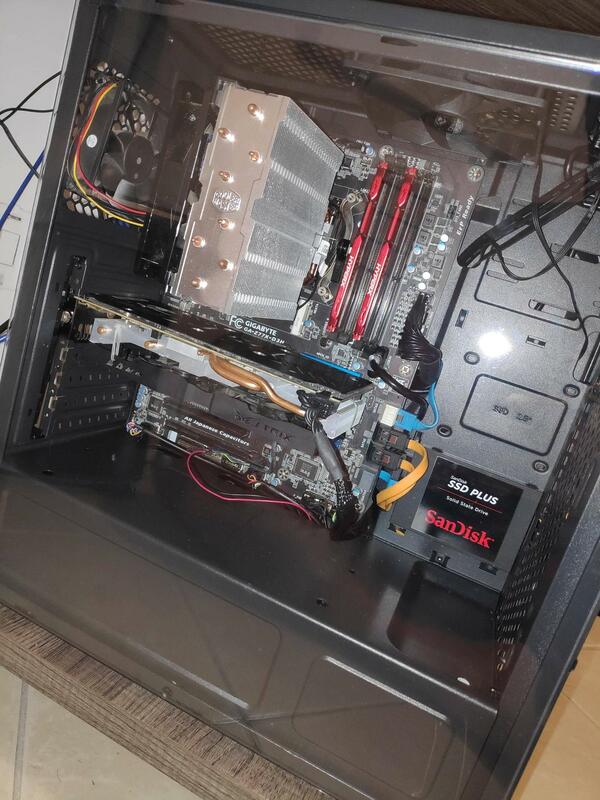 Check out what Gamers nexus did to fix this case with a similar issue. Get creative and make something work. A dremal is your friend. And so is this stuff. https://mnpctech.com/case-mods-gaming-pc-liquid-modding-custom-computer-mnpctech-overclock-cooling-fan-grills/modders-mesh-honeycomb.htmlsometimes expensive and always worth it. If you a creative with it you can make a front intake hole and use this or a similar modders mesh to create a large front square or round hole. Maybe paint and style it so it will be sleek and simple. Maybe move the fans to the inside of the case and cut a small rectangular. Or maybe widen the holes the are situated at the front right of the panel to allow more air in and drill the panels bottom out. I would not be able to stand that Lack of performance from the case. I would be doing something similar to the mod gamers nexus did and adding RGB fans to the front of the case to offset the mesh mod at the front end. I would however use a wider mesh to create even less restriction. I am not sure what language you speak But I hope you can use this info to your benefit. Me personally; I would not be able to stand that Lack of performance from the case. I would be doing something similar to this and adding RGB fans to the front of the case to offset the mesh mod at the front end. You mentioned the VGA board fan PWM had stopped working, so I would not trust the software reported fan speed. To verify the damaged PWM, connect the fans to the VGA card and at idle the fans will be slow and quiet and under stress, fast and loud. Make sure to turn off any software fan profiles. The fans can be connected to the power supply and run 100% always. The fans can be connected to a fan controller and manually adjusted. The fans can be connected to a 10k rotary pentiometer and manually adjusted. I would add that the Gigabyte heatsink can cook a higher wattage than the Asus because of It's size. Therefore, I would bet that the broken fans also blow more air than the replacement fans. Just compare the size, number of blades, the thickness of the fan, and the amperage and know that the bigger compared item will move more air.